I know that sometimes “keeping Christ in Christmas” can be a challenge. Perhaps it’s because we’re assaulted with songs, movies and TV shows that talk about how the spirit of Christmas is gushy feelings, decorating trees and throwing snowballs. Perhaps some of the blame can be placed on us for giving into the “busy-ness” of the season and making it about parties and shopping lists and Facebook worthy photo-ops. So how do we focus on Christ this season? We’ve got to keep in our hearts and minds that the birth of our Savior is of the utmost significance. Our almighty, powerful God-creator of the universe, took upon the humility of human form. And not just any human form, the most helpless and dependent of human forms. And He didn’t choose a birth of privilege, but He chose to be born in an average family, from a humble town. I want to have wonder at this miracle. I want to have reverence for a God who would love us in such a passionate way. I want my joy to be found in the truth of Christ’s gift in coming. I want to demonstrate the kind of abundant, selfless love Christ showed to us in that moment. 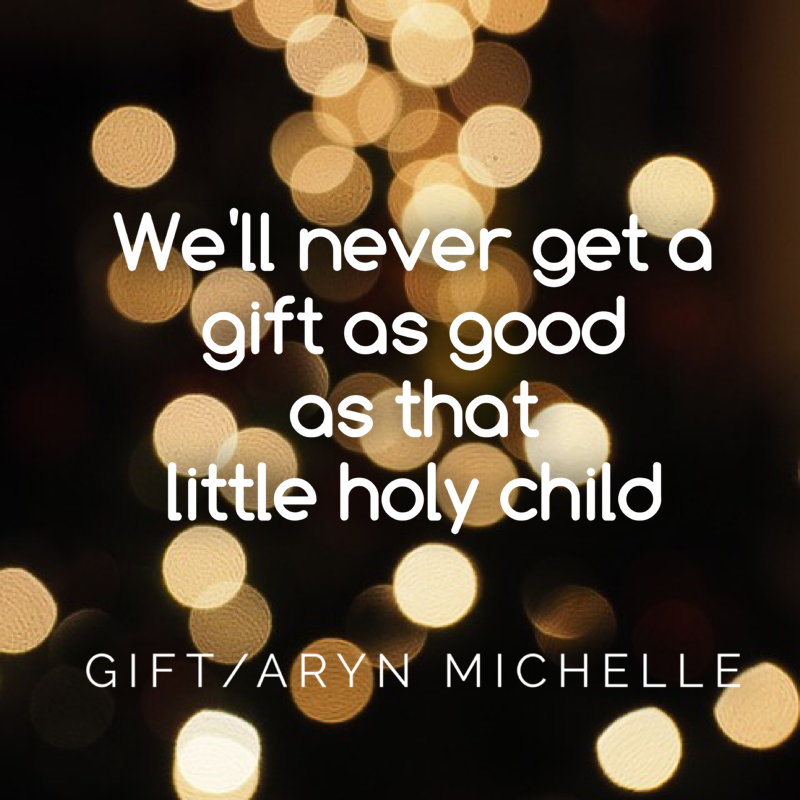 So I challenge you and encourage you to reflect on the significance of God coming to us as a baby; the most perfect gift of all.